1. What is a personal corporate account? The users of clients who have Academic, Government, or Corporate subscriptions can create a personal account for each member of the organization. Every contracted license allows for the creation of a personal corporate account. 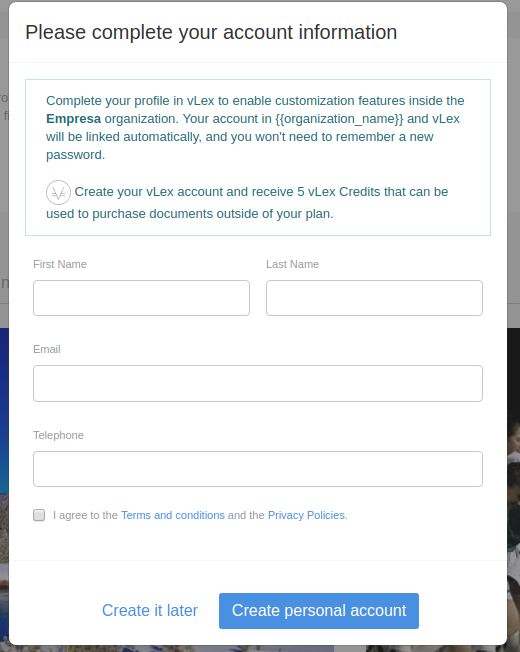 This feature is not available for users of Professional or vLex Open accounts. Each user benefits from a private vLex account and can use all of the personal features such as creating alerts and notes, following SmartTopics, documents and sources, customizing the news, creating personal folders or reviewing their personal search history. The Account Administrator has access to complete statistics including the number of users using vLex and the frequency of their individual use. 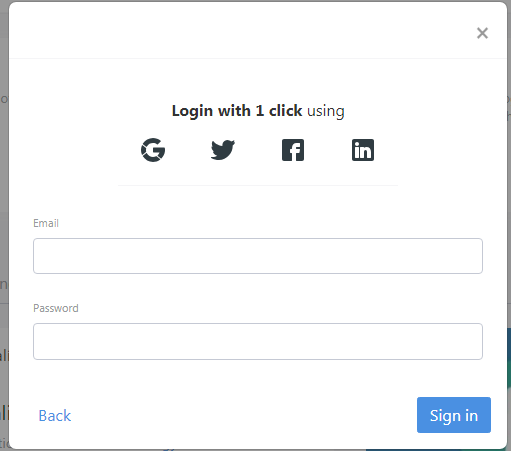 When the client organization has chosen to configure access by SSO and personal account the end user should not do anything and every time a new user of the client organization enters the page, a new user will be created in vLex automatically. The user will immediately be able to enjoy vLex personal features. 4. Anonymous access and personal account for a user who individually requests it. When logging into vLex, the possibility of creating your own “personal space” will be offered. When creating a new personal account, you must fill in the required fields (first and last name, corporate email), read and approve the general conditions of use and click “create personal account”. It is also possible to create a personal account with a single click through social networks with Google, Twitter or Facebook. 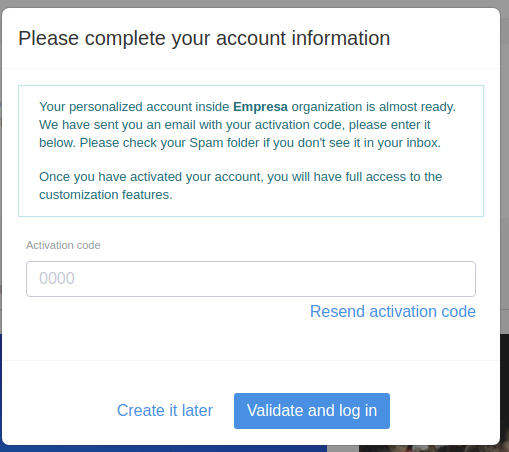 The system will send an email for the final activation of the account and, within 24 hours, it must be activated from the corporate email account. You can start to use personal features from the moment that you receive the email.